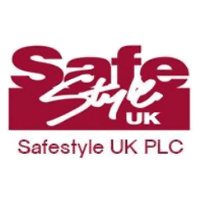 Safestyle UK Plc (LON:SFE) has announced the positive settlement of its legal claims against NIAMAC Developments Ltd (trading as SafeGlaze UK). The settlement follows a series of injunctions put in place by the court in May and July covering a wide variety of alleged infringements. SafeGlaze UK has agreed that the injunctions will be replaced by appropriate undertakings to the court. Importantly SafeGlaze UK has agreed to change its name, our understanding is that it will be materially different to Safestyle UK, and the settlement will prevent any acts of intimidation or harassment. We view today’s announcement positively, it draws a line under the legal issues in a timely and cost-effective manner. Going to trial could have taken 12 to 18 months and would have incurred significant costs. The new management team can now focus its attention on repairing the short-term damage caused by the competition from SafeGlaze UK and also the difficult trading environment. Interim results scheduled for the 20th September will provide greater detail with regards current trading. 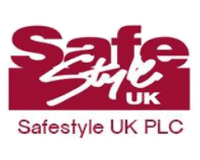 Positive conclusion of legal claim: The full details of the settlement will not be made public, but it appears a very positive outcome for Safestyle UK and covers all claims made against SafeGlaze UK, including alleged trade mark infringement, passing off and misuse of confidential information. The settlement brings a close to the legal claim up to eighteen months earlier than if it had gone to full trial and will save considerable fees that would have been involved. The conclusion of the legal matters is not in its self a guarantee of a short-term improvement in trading. However, it will allow management to focus on improving the performance of the business in a difficult environment for the industry without the added complication of intense competition. Interims results will provide greater detail on trading and the progress in the order book: The trading update in mid-July indicated that the order-book had started to improve suggesting that maybe the business had seen the trough from the impact of SafeGlaze UK. If it has continued to build it will provide greater confidence in the FY18 forecast, albeit trading will be heavily H2 weighted. Good performance in the final six months would underpin confidence in the strong rebound in forecast profitability in FY19. However, we would caveat that the market has been exceptionally weak with peers indicating the UK window and door market is down by high single digit year to date. Zeus Capital Valuation: Should the improvement in forecasts come through as we envisage the shares offer substantial turn around potential trading on just 7.4x FY19 earnings with a conservative balance sheet. Click SFE for the full archive.